Healthier You Challenge Has Moved! I just need to pop in really quickly and let you know about a change I decided to make. 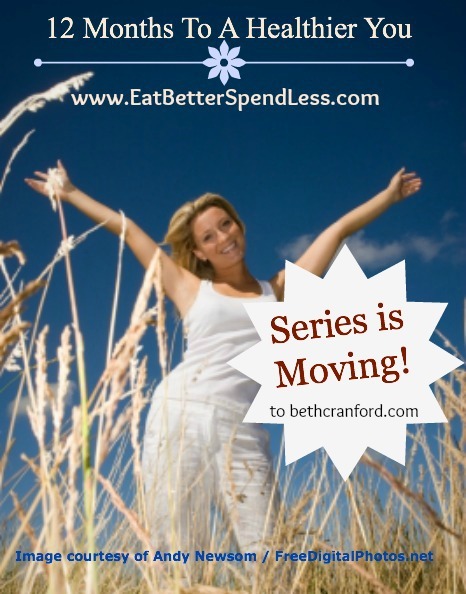 If you’ve been following my Healthier You Challenge, it’s moving to my other blog, bethcranford.com. I think the topic will fit much better over there and I hope my readers there will enjoy that series. So, come on over. Here is the link to the original post, which contains links at the bottom for each update. Thanks so much, I look forward to seeing you over there and hearing how you’re coming along on the challenge!